The Russian Defense Ministry draws attention of the Pentagon to a rude violation of the international rules and the Russian-U.S. agreement on the actions of the U.S. destroyer Gravely, which has allowed itself a dangerous approach with the Russian warship Yaroslav Mudry in the Mediterranean Sea. "On June 17, in the eastern part of the Mediterranean Sea, the U.S. destroyer Gravely has allowed itself a dangerous approach with the Russian warship at a distance of 60-70 meters along the port side and has crossed the course of the patrol ship Yaroslav Mudry on the bow at a dangerous distance of 180 meters. 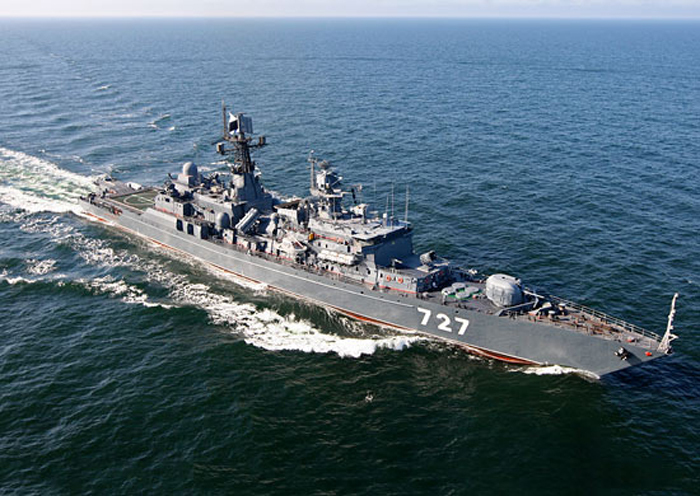 Meanwhile, the Russian warship was heading in the international waters along the constant course and speed and has conducted no dangerous maneuver in relation to the U.S. ship," the Russian Defense Ministry told Interfax-AVN. "The U.S. military agency has recently been accusing Russian pilots and sailors of the lack of professionalism quite constantly," the ministry said. "However, this incident involving a dangerous maneuver of the destroyer Gravely demonstrates that the U.S. military sailors allow themselves to forget about fundamental principles of security in navigation and not to think at all what consequences a dangerous maneuvering in the areas of intense navigation may lead to," the Russian Defense Ministry said.